If you're a premed student, you probably have a lot of questions, and you may not have a lot of places to turn for answers. Subscribe to Ask Dr. Gray: Premed Q&A, our "almost" daily podcast! New episodes of Ask Dr. Gray: Premed Q&A are released "almost" every day. To make sure you don't miss an episode, subscribe for free using the links below and get the show on your device automatically each week! Will Withdrawing From a Class Hurt My Med School Application? Can I Get Grades Removed From My Transcript To Improve My GPA? 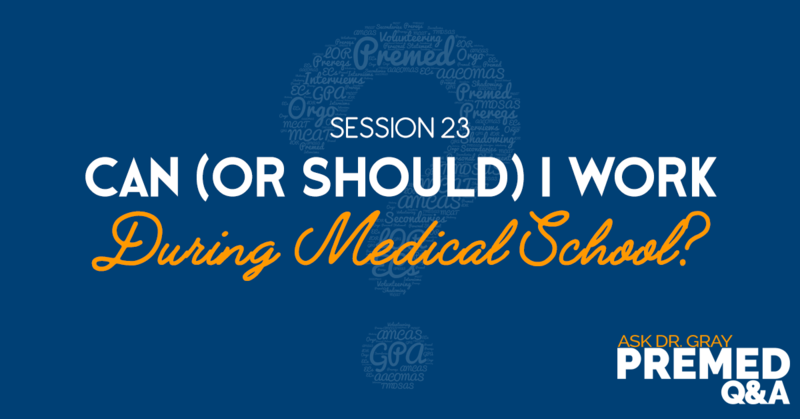 How Do You Choose Between Multiple Med School Acceptances? Should I Apply to Both MD and DO Schools? Do I Have to Know Laws or Specific Medicine for the MMI? Should I Schedule a Second MCAT Date as a Backup? Can (Or Should) I Work During Medical School? What are the Different Types of MMI Stations? How Should I Use the MSAR to Look at Med Schools? Should I Talk About Being Respected as a Physician? When Should I Register for the MCAT? How Should I Approach the “Blind” Med School Interview?